In spite of the known dangers of energy drinks, the market for them is booming. The Global Energy Drink market is expected to reach $72 billion by 2024. This is great news for energy drink manufacturers, but what are consumers really getting when they buy these drinks? Most of the major brands—such as Red Bull, Monster Energy, Rockstar Energy Drink, and NOS Energy Drink—have the same ingredients. We asked experts to reveal exactly what their ingredients do to our bodies. The main source of energy in most energy products is caffeine. According to Caffeine Informer, Monster Energy, Rockstar Energy, and NOS Energy all have 160 mg of caffeine in a 16-ounce can. 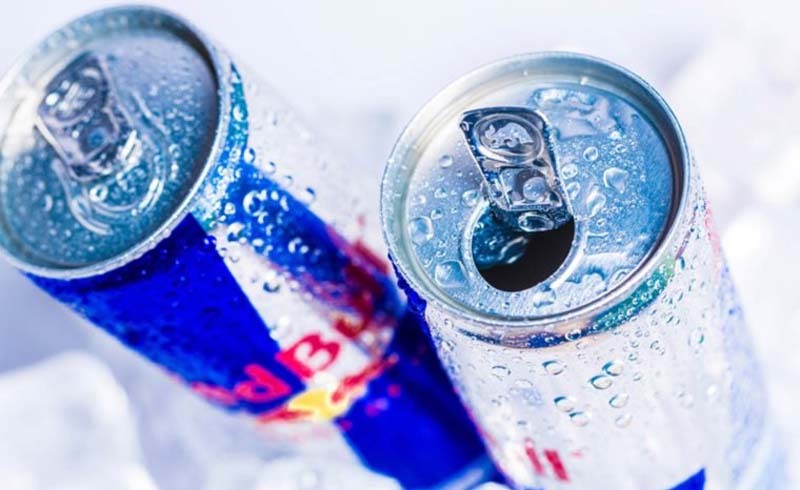 Red Bull has 80 mg of caffeine in an 8.4-ounce can. Caffeine has a diuretic effect, which means it increases urine production. In extreme cases, this can lead to dehydration. It can be particularly harmful in people who drink these products for the first time and don’t know to compensate with extra water, says nutritionist and author Beth Warren. The FDA’s official stance is that people shouldn’t consume more than 400 mg of caffeine per day, but food and drink manufacturers are not required by law to list the amount of caffeine their products contain. As a diuretic, caffeine also poses a heart rate risk, says nutritionist Lisa Cohn. The Canadian Journal of Cardiology published a comprehensive study in 2015 that looked at the incidences of cardiac events after energy drink consumption among adolescents. They found that energy drink abuse among teens caused increased risk of cardiac events, especially in those with underlying heart conditions. There were even some cases of energy drink products causing changes in heart rhythm among teens with healthy hearts. This risk increases when the child engages in sports or exercise. In some cases, the high caffeine content of these drinks triggered undetected heart conditions, as in the case of a 17-year-old boy who showed up at the emergency department with sudden onset of palpitations after drinking a high caffeine pre-workout energy drink at the gym. Energy drink products contain citric acid, which is highly corrosive to teeth, warns registered dental hygienist Anastasia Turchetta. 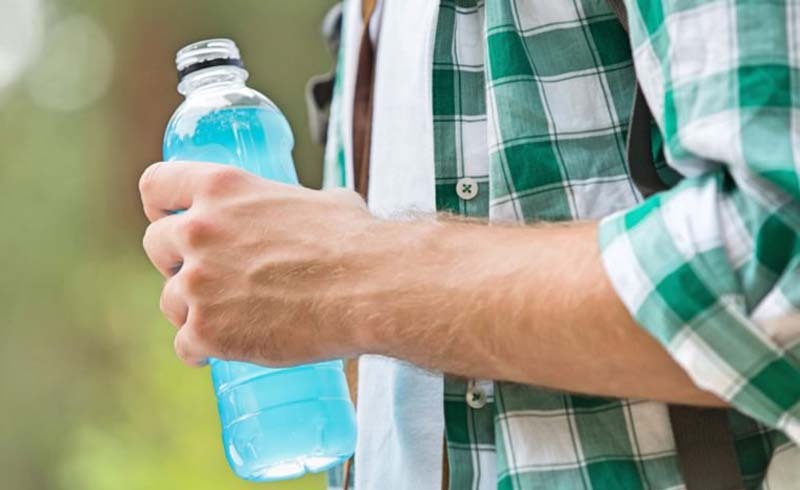 A study comparing sports drinks and energy drinks found that energy products have significantly higher acidity and greater capacity to dissolve enamel compared to sports drinks. In fact, enamel loss after exposure to energy drinks was more than two times higher than after exposure to sports drinks. “Imagine the collision of citric acid with sugars, and you have the perfect storm for tooth enamel demineralization and/or tooth decay,” says Turchetta. “Once your enamel is gone, it won’t grow back! What’s next? Tooth sensitivity and thinner enamel, which will look more yellow and attract more stains.” What’s even more concerning is that the precise amount of citric acid is not required on the label, so we don’t actually know how much we’re getting. Guarana, another common energy drink ingredient, may be a plant, but that doesn’t mean it’s good for you. It’s high in caffeine, even more so per serving than coffee. “Guarana stimulates the central nervous system,” explains Cohn. “This provides a feeling of energy boost and mental clarity, and can reduce appetite. However, it can also cause adverse energy drink side effects such as headaches, insomnia, nervousness, and mood swings; it can be dangerous when combined with prescription medication; and it can cause various side effects, from cardiac and digestive problems to impaired judgement and decision-making.” The real danger of guarana is that it’s not listed as an additional source of caffeine on ingredient lists. “Some young adults have reported being sent to the emergency room because of overdoses of caffeine in the form of guarana-based drinks,” warns Warren.